By definition, deserts are land areas receiving, on average, less than 25.4 centimeters (10 inches) of rain per year. Despite the common perception, temperature does not directly determine whether or not a land area is a desert. Deserts can have high, low or mild temperatures. The four subcategories of deserts are hot and dry deserts, coastal deserts, cold deserts and semiarid deserts. Each experiences different temperatures and amounts of rainfall. For the most part, hot and dry deserts have high temperatures during the day and low temperatures during the evening. Some of the world's hot and dry deserts have temperatures reaching 49 degrees Celsius (120 degrees Fahrenheit) during the day. Others will have temperatures falling to as low as negative 18 degrees Celsius (zero degrees Fahrenheit) in the middle of the night. Rainfall varies among the world's hot and dry deserts. The Sahara Desert receives as little as 1.5 centimeters (0.6 inches) of rain per year, while rainfall amounts in the American deserts can reach as much as 28 centimeters (11 inches) per year. The Mojave Desert, the Australian Desert and the Atacama Desert of Chile are three examples of hot and dry deserts. Temperatures in the world's coastal deserts range from 13 to 24 degrees Celsius (55 to 75 degrees Fahrenheit) during the summer. During the winter, temperatures fall to temperatures below 5 degrees Celsius (41 degrees Fahrenheit). Typically, rainfall in coastal deserts is much higher than rainfall in hot and dry deserts. Coastal deserts average between 8 and 13 centimeters (3 and 5 inches) of rain each year. 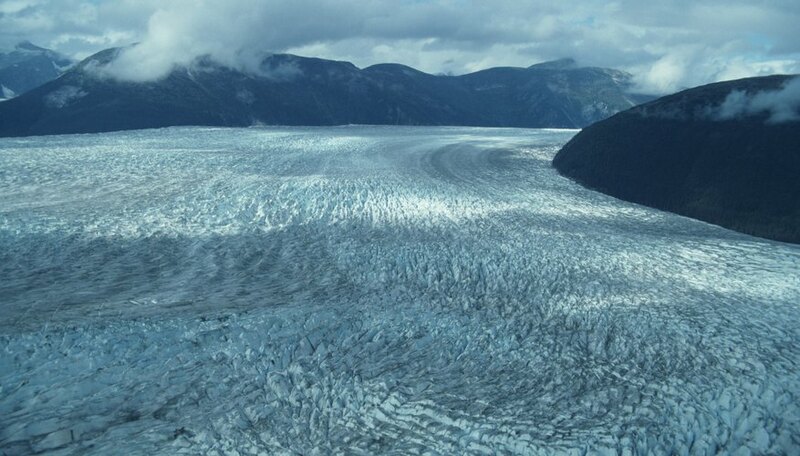 Still, some coastal deserts have recorded as much as 37 centimeters (14.5 inches) per year of rainfall. 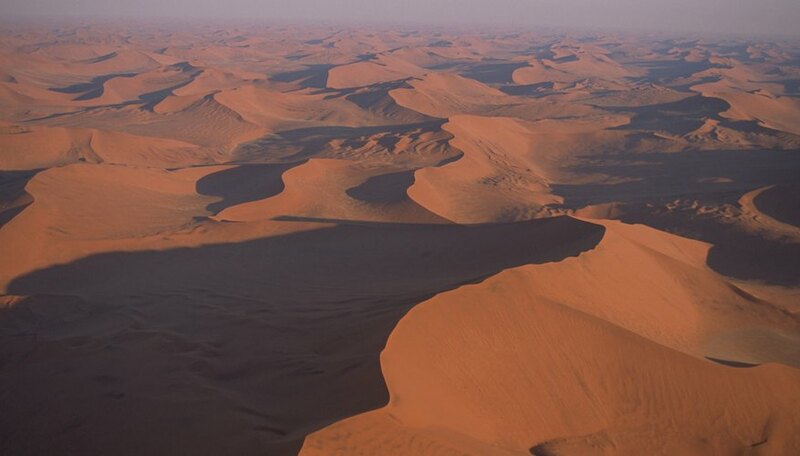 The Namib Desert in Africa is one type of coastal desert. Cold deserts are associated with snow during cold winters and during summers with rainfall. Cold deserts exist in the Antarctic and the Nearctic realm, an area encompassing the central and northern parts of North America. Annual precipitation in cold deserts generally falls between 15 and 26 centimeters (6 and 10 inches), on average. As much as 46 centimeters (18 inches) of rain has been recorded in cold deserts, however. On average, temperatures during the winter months range between negative 2 and 4 degrees Celsius (28 and 39 degrees Fahrenheit). During the summer months, temperatures in cold deserts range from 21 to 26 degrees Celsius (69 to 78 degrees Fahrenheit). 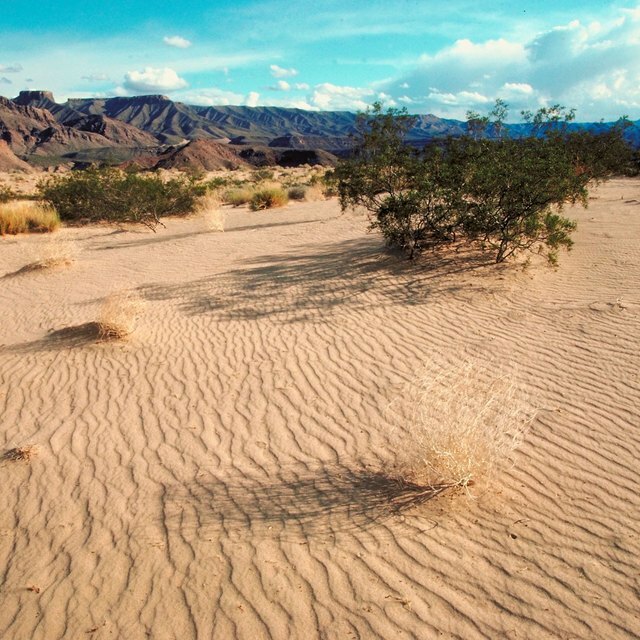 Semiarid deserts are the fourth type of deserts found on Earth. Semiarid deserts exist in Montana, Russia, Newfoundland and northern Asia, among other places. Summers in semiarid deserts are long and have average temperatures between 21 and 27 degrees Celsius (69 and 80 degrees Fahrenheit). Temperatures usually stay below 38 degrees Celsius (100 degrees Fahrenheit) in semiarid deserts. During the evening, temperatures in semiarid deserts drop to around 10 degrees Celsius (50 degrees Fahrenheit). Semiarid deserts average between 2 and 4 centimeters (0.8 inches and 1.6 inches) of rain per year, on average. In some deserts, more water is created annually from the condensation of dew during the evening than from rainfall. Alex, Charles. "Weather Patterns in Deserts." Sciencing, https://sciencing.com/weather-patterns-deserts-23034.html. 25 April 2017.